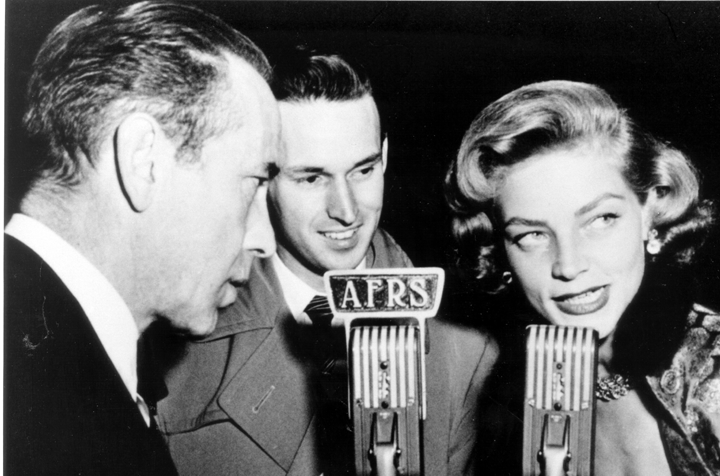 Not Exactly Indie Rock: An Armed Forces Radio Services broadcaster interviews Humphrey Bogart and Lauren Bacall during WWII. I bet that interviewer was nervous! An in-studio interview is just what it sounds like: an interview that occurs in the radio station’s studio. These interviews typically occur in the late afternoon, a few hours before an artist has a show in town. Sometimes artists will even perform live in the studio, which is a special treat for the interviewer and others involved. So, how do you pull off an in-studio interview? I’ll show you!